Hyde Park, NY – Half Moon Theatre, the Hudson Valley’s regional professional theatre company, continues to celebrate its 10th anniversary season in 2017. Performances and productions that will dazzle and inspire, evoke emotions and make audiences laugh are in store for theatre goers this year. Broadway stars and America’s most produced playwright are just part of what makes this an exciting time to visit a Half Moon Theatre show. All shows will be performed at The Culinary Institute of America’s Marriott Pavilion located at 1946 Campus Drive in Hyde Park, NY. Visit www.halfmoontheatre.org for more information and to purchase tickets for all shows. Friday, February 10 at 7:30 p.m. | Saturday, February 11 at 7:30 p.m.
Half Moon Theatre is hosting a Valentine’s night out that is not to be missed! 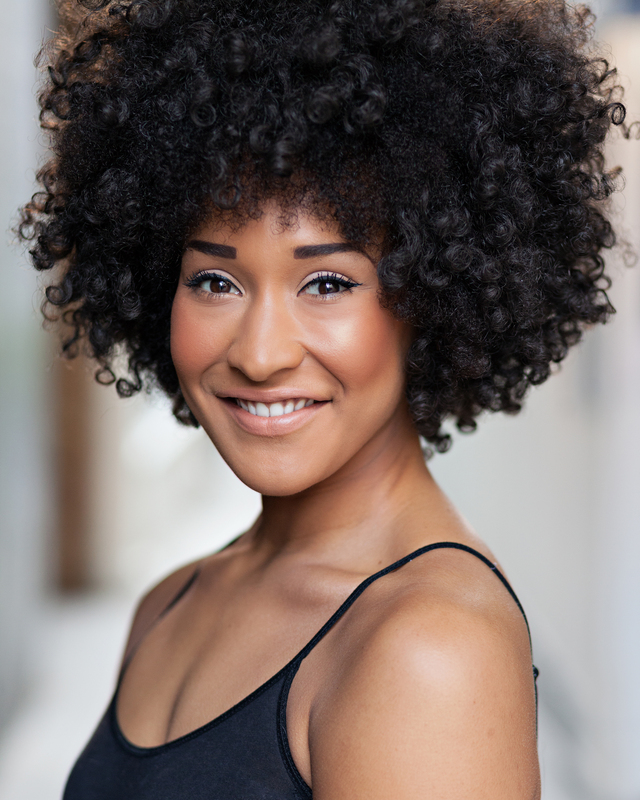 Currently performing in the acclaimed Broadway show Waitress, Olivia Phillip has also graced the London stage in shows such as The Book of Mormon and Ghost: The Musical. Ms. Phillip takes to the Half Moon stage this Valentine’s Day weekend in a tribute to love and romance with her powerful, sultry voice and electric stage presence. HMT’s Managing Director Kristy Grimes recently announced, “We are thrilled that Olivia’s castmate Max Crumm from the Broadway show Disaster! will be joining her for this very special Valentine’s Day Cabaret weekend.” Theatre fans might remember Max from the Broadway revival of Grease, after winning NBC’s talent search competition, Grease: You're the One That I Want!, when he starred as Danny Zuko opposite Laura Osnes as Sandy. Olivia and Max will be performing a variety of pop songs, standards and musical theatre numbers at HMT's Valentine’s Day Cabaret. A decadent filet of beef dinner with horseradish whipped potatoes and flourless chocolate dessert will accompany the show. Tickets are available in advance for $90 per person. Saturday, March 4, 2017 at 7:30 p.m.
Broadway actress and “cover” to the Stars Denise Summerford presents an evening of popular songs from different eras reworked into a variety of musical genres, such as swing, jazz, Dixie, folk, blues and classic rock. This lively show will feature cover songs by artists ranging from Bill Withers’s “Ain’t No Sunshine,” and Peggy Lee’s “Fever” to Justin Bieber’s “Love Yourself” and Meghan Trainor’s “All About that Bass.” The show will be musically directed by Vito Petroccitto. Tickets to Cover Girl will include an exclusive dining experience at the newest pop-up restaurant at the CIA: the Post Road Brew House. The Post Road Brew House will offer unique CIA brews, local craft beers, Hudson Valley wines and spirits, and gastro pub fare that redefines deliciousness. It is conveniently located on the CIA campus, just steps away from the Marriott Pavilion. Tickets are $75. Saturday, March 25 at 3 p.m. & 8 p.m. | Sunday, March 26 at 2 p.m. | Friday, March 31 at 8 p.m. | Saturday, April 1 at 8 p.m. | Sunday, April 2 at 2 p.m.
Yours, Anne is a critically acclaimed musical adaptation of Diary of a Young Girl by Anne Frank and The Diary of Anne Frank by Frances Goodrich and Albert Hackett. This moving story premiered Off-Broadway in 1996, and various incarnations of the piece have been produced around the world: Carnegie Hall, Lincoln Center, the Netherlands, Japan, South Africa, and the U.S. Holocaust Memorial Museum, among others. Yours, Anne is written by Enid Futterman and Michael Cohen and directed by Michael Schiralli. While the subject matter of Anne Frank’s story is difficult, hers is a story that begs to be told and this production tells it beautifully through song. Tickets to evening performances are $35 for adults, $30 for seniors and $20 for children. Matinee performances are $30 for adults, $25 for seniors and $18 for children. Group discounts and student matinees are available. To make pre-theatre dining reservations at the CIA, call 845-905-4533 or e-mail ciarestaurants@culinary.edu. All CIA restaurants are closed on Sundays. Half Moon Theatre will also host a dynamic panel discussion on the context of the Anne Frank Story which will be held on Sunday, March 19 at 6:30 p.m. at the FDR Presidential Library & Museum in Hyde Park, NY. Friday and Saturday at 8 p.m. | Sunday at 2 p.m.
Meet the Smiths, the Johnsons, and the Joneses. They live in a nice little cul-de-sac in a nice little suburb in a nice little state in a nice big country. And they’re happy. Or, trying to be. The lengths to which they go to be happy—or at least seem, or feel happy—are hilarious and heartbreaking. From the writer of Almost, Maine and Love/Sick, this not-quite-for-families comedy examines the American dream—and the nightmare it can become. John Cariani is an award-winning American actor, an accomplished playwright. Cariani is best known to television viewers as the unwavering forensic expert Julian Beck in Law & Order. On stage, he earned a Tony Award nomination for his role as Motel the Tailor in the 2004 Broadway revival of Fiddler on the Roof. As a playwright, he is best known for his first play, Almost, Maine, one of the most frequently produced plays in the United States. Founded in 2006, Half Moon Theatre (HMT) is the Hudson Valley’s only year-round professional theater company. HMT brings plays and musicals from Broadway and Off-Broadway to the Mid-Hudson region and supports the development of new work by American playwrights, composers and lyricists. The mainstage season is presented at the Marriott Pavilion on The Culinary Institute of America campus in Hyde Park, NY. HMT also operates a School of the Arts and a Studio Theatre in Poughkeepsie, NY. HMT Education cultivates a new generation of theater artists and fans through in-school residencies, theater classes, and professional training programs. The HMT Junior Company creates and performs free shows at hospitals, senior centers and community events. Performances, education and outreach programs serve over 15,000 youth and adults annually, enhancing the quality of life for local residents while also promoting tourism in the Hudson Valley. HMT is the recipient of the 2015 Dutchess County Tourism Arts Award of Distinction and 2014 Dutchess County Executive’s Arts Organization of the Year by Arts Mid-Hudson.